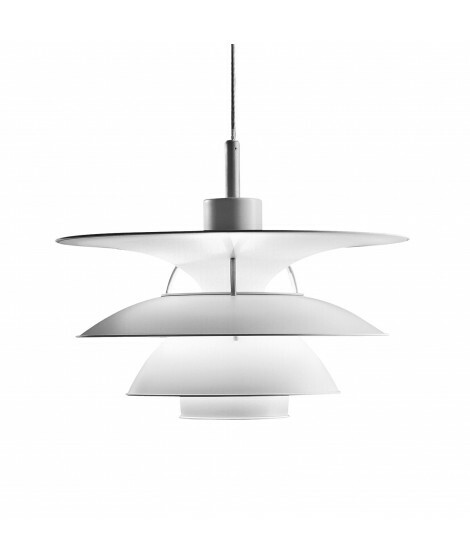 A Poul Henningsen, Ebbe Christensen and Sophus Frandson design for Louis Poulsen. 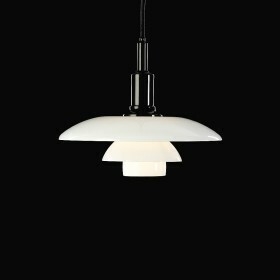 The PH 6 ½ 6 and 5-4 ½ pendants diffuse pleasant, homogeneous light without glare. 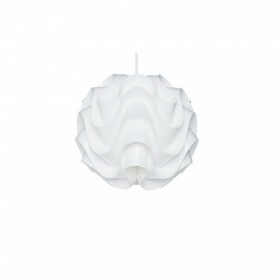 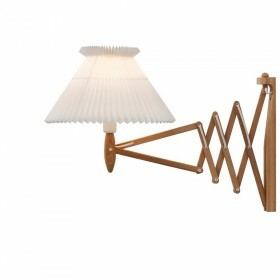 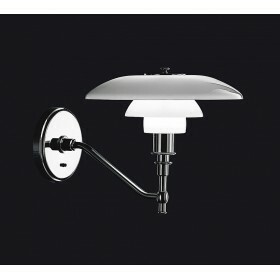 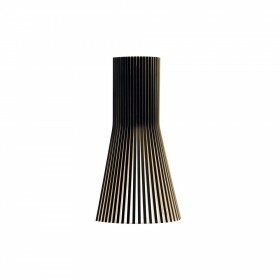 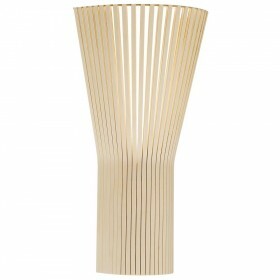 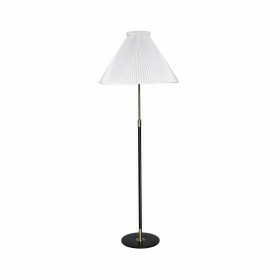 Ideal for use in kitchens, dining rooms, living rooms or any other room with a high ceiling. 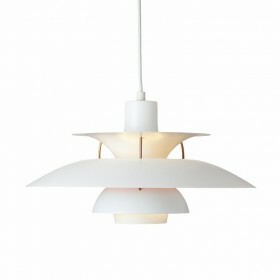 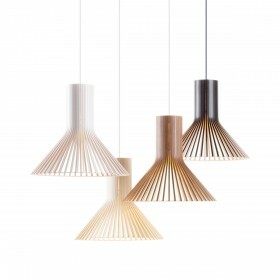 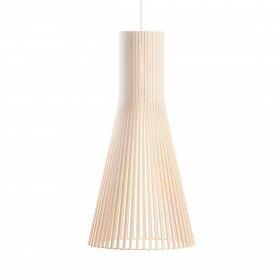 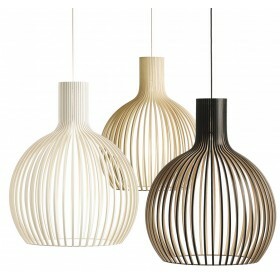 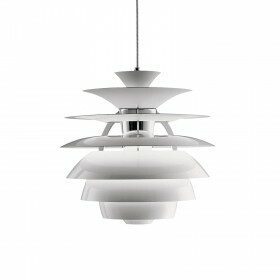 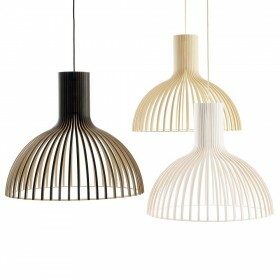 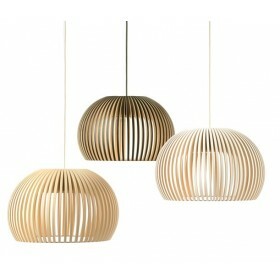 Poul Henningsen, Ebbe Christensen and Sophus Frandson design for Louis Poulsen. 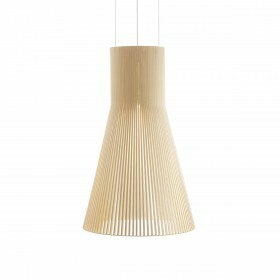 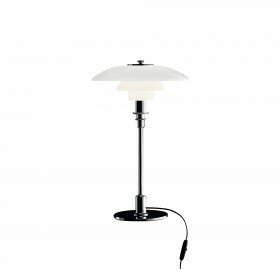 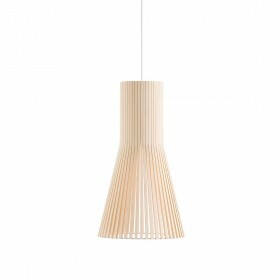 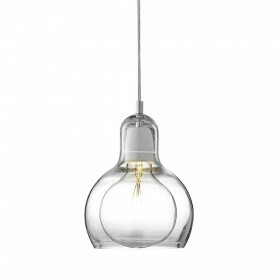 The PH 5-4 ½ and 6 1/2-6 pendants consist of 4 shades fixed onto three steel rods. 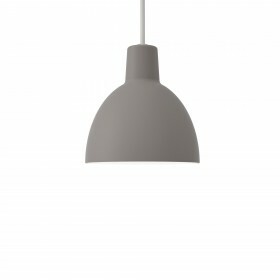 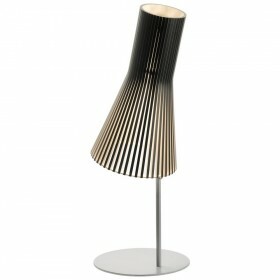 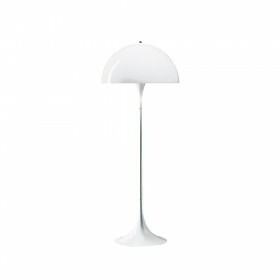 The top, trumpet shaped shade illuminates the space above the three other shades. 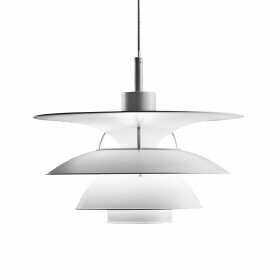 The latter mainly direct the light downwards. 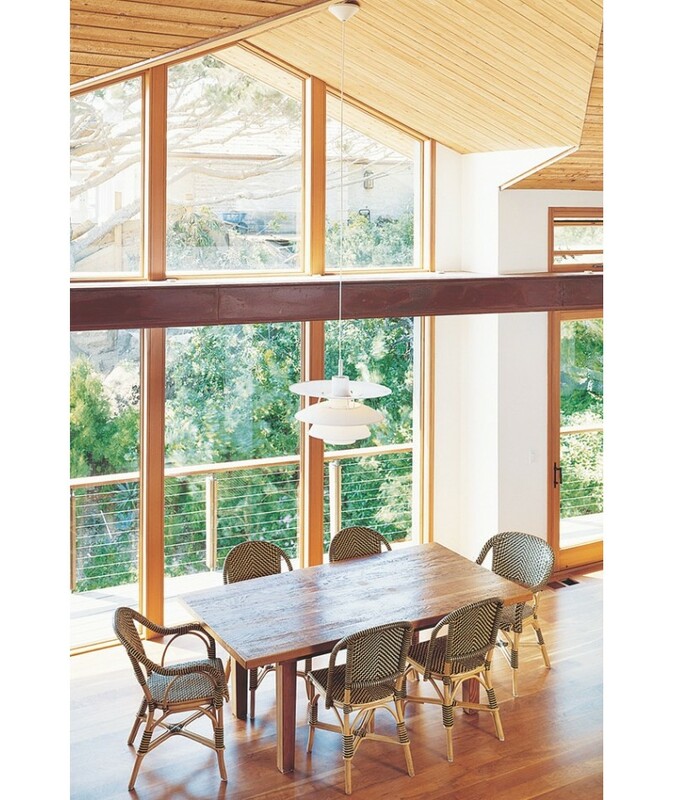 Indirect light is therefore not only projected vertically and also horizontally across the room. 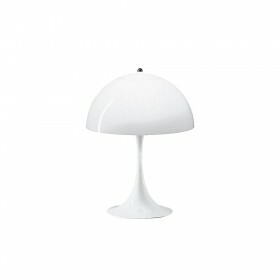 White paint is applied to the shades in order to create calming and comfortable light for the eyes. 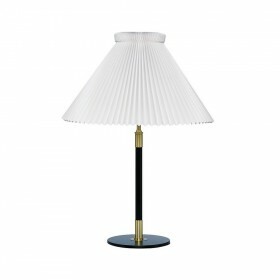 A reflector situated at the bottom of the lamp, as well as a blue ring, eliminate glare while amplifying the part of the light spectrum the eye is less sensitive to. 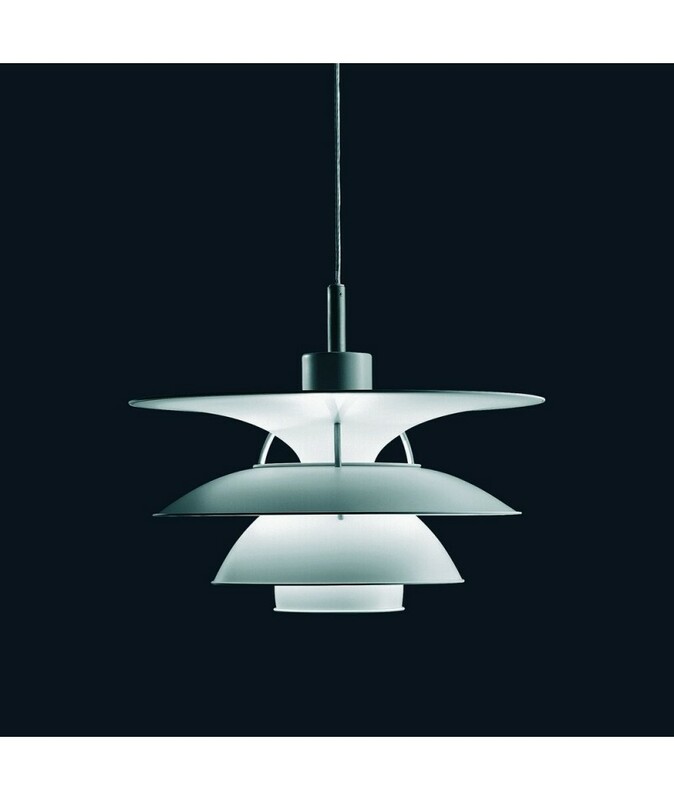 The PH 5-4 ½ and 6 ½ - 6 pendants are designed to brighten up rooms with high ceilings, and can be found in museums and exhibition rooms around the world. 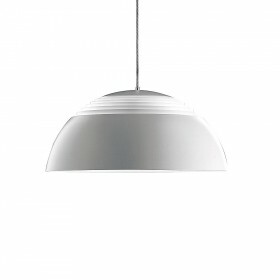 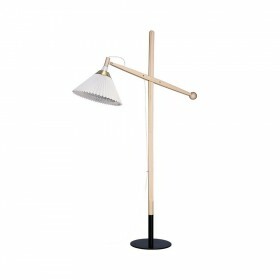 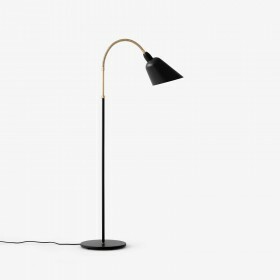 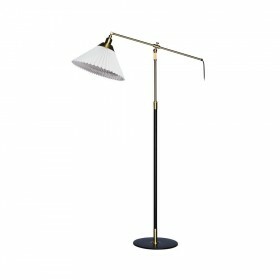 History: Removed from Louis Poulsen’s standard product range in the 1940s, the lamp with four shades as we know it today is the result of a collaboration between two Danish architects, Sophus Frandsen and Ebbe Christensen, who redesigned it in 1979 in its larger version (6 ½ - 6) for the Charlottenborg exhibition hall in Copenhagen.